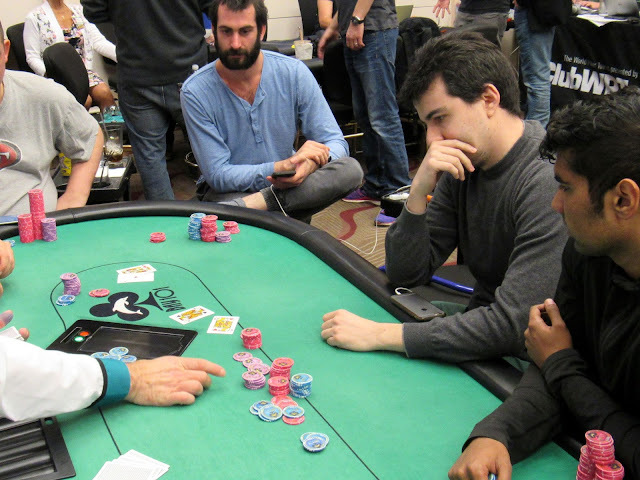 Lander Lijo was all in preflop holding [Js][Jh] and was flipping against his opponent's [Ad][Kh]. The [6c][5c][4s] was safe for Lander, but the [7s] turn gave his opponents out to a chop. The [Kc] hit the river instead, sending Lander to the rail in 38th place, good for $21,850.